December 2nd at Comedy Heights! This Friday at Bay Bridge Brewing 8PM! 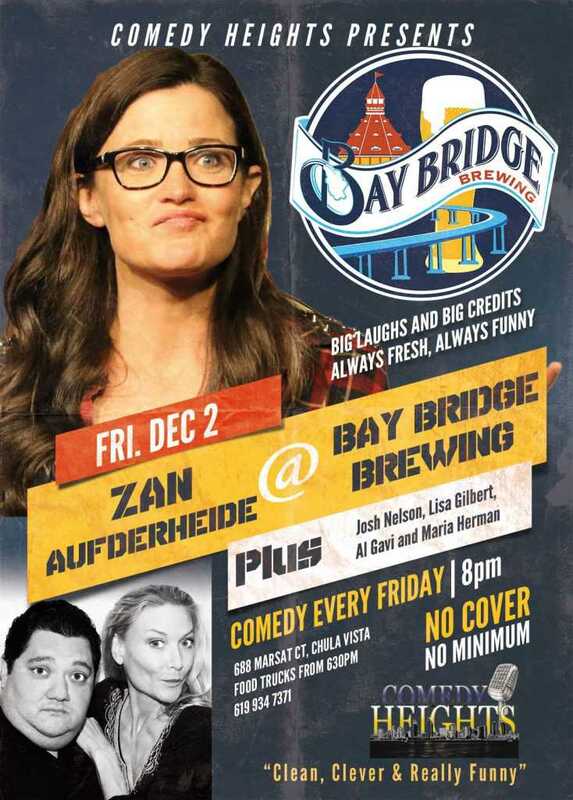 Comedy Heights presents Zan Aufderheide! The inimitable Zan got her start by winning a radio contest, which was followed by a national tour, and then nonstop laughs from the Laugh Factory in Hollywood to the Gotham Comedy Club in New York City. Laugh off the wallet-draining sales and holiday shopping craze this Friday with Zan Aufderheide, Josh Nelson, Lisa Gilbert, Al Gavi and Maria Herman! Join Comedy Heights at 8PM every Friday at Bay Bridge Brewing 688 Marsat Ct, Chula Vista. Next story December 9th & 10th at Comedy Heights! 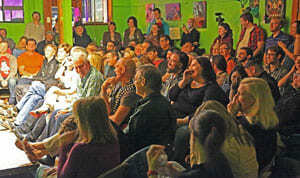 Previous story December 2nd & 3rd at Comedy Heights! Comedy Heights Producers Al Gavi and Maria Herman are all about clean, clever and really funny comedy. Their weekly Friday and Saturday night comedy shows combine hilarious headliners sporting Comedy Central and HBO credits, with ‘up and coming’ comedians from all over Southern California. Check out our Yelp reviews- click here! Comedy Heights © 2019. All Rights Reserved.